This week's Wishing Wednesday post is different from the usual. As many of you might already know, I am running a Thank You giveaway where you can choose your prize. 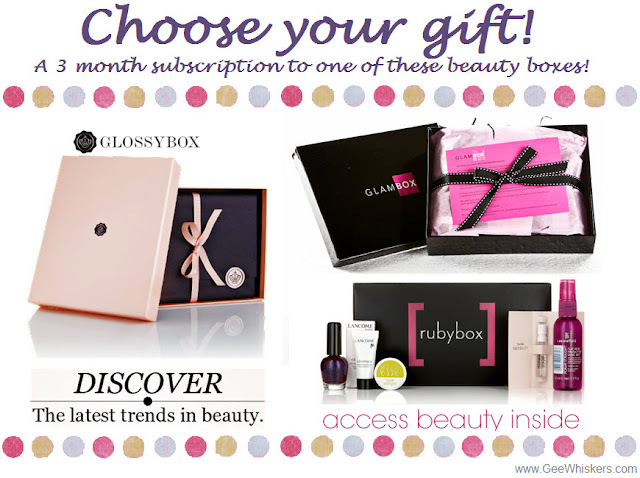 I chose to give this prize away because I am such a huge fan of beauty boxes and it is personally something that I would wish for. To enter the competition go to the Competitions page and follow the 4 easy steps. Wishing you all the best!